US-China Trade Tensions May Affect Global Adipic Acid Market | Merchant Research & Consulting, Ltd. The global and regional markets for adipic acid are highly volatile, which is manifested in rapid changes in adipic acid price and trade dynamics. This volatility is predetermined by the dynamic complexity, built around multiple interdependent factors which influence the adipic acid market and its environment. Such interwoven factors are numerous. The adipic acid market is affected by a specific feedstock situation, which governs upstream costs and a supply-demand balance. 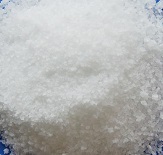 The adipic acid feedstock is primarily cyclohexane, which is the adipic acid precursor in the nylon 66 production chain (the use of phenol as adipic acid feedstock has been almost curtailed). Another critical factor is the behaviour of consuming markets, including nylon 66, food additives, polyurethanes, plasticizers, etc. Upcoming plant maintenances and seasonality are often responsible for impacting the adipic acid market. Amid the above-mentioned factors, the recent US-China trade confrontation can be viewed as a very serious barrier complicating operations with adipic acid. To some degree, the confrontation is triggered by the existing trade imbalances and may result in the introduction of a new 10% duty on many Chinese goods worth $200bn in September 2018 (the decision might be taken in the first half of September). The list of Chinese goods on which the duty is imposed includes many chemicals, including adipic acid. China and the US are the largest manufacturers of adipic acid with over 45% and 21% of the global adipic acid capacity, respectively. Of course, the import of Chinese adipic acid into the US is not particularly big. For instance, in 2015, the whole imports of adipic acid from the Asia Pacific region to North America was worth of USD130 mln. This amount is not significant to drastically affect the market. However, the mere fact of trade barrier intensification between the two global leaders in chemical production may cause significant changes in the structure and behaviour of many chemical markets, including that of adipic acid. More information on the adipic acid market is available in the in-demand research report “Adipic Acid (ADPA): 2018 World Market Outlook and Forecast up to 2027”.